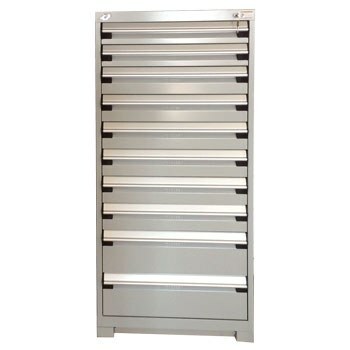 These gray Rousseau R Modular Drawer Cabinets safely store up to medium sized equipment including tools, parts, and more. Lockable and sturdy. Also included are dividers to create up to 9 separate compartments per drawer making this the perfect container for hardware such as nuts and bolts! These cabinets come with two drawers at 4 in. 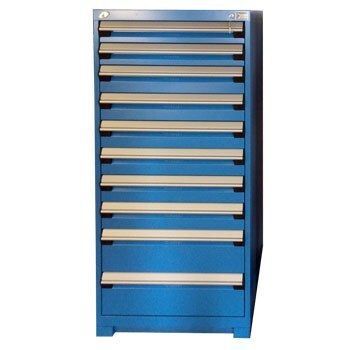 high, six drawers at 5 in. high and two drawers at 8 in. high. Each drawer has a 400 lb. capacity.